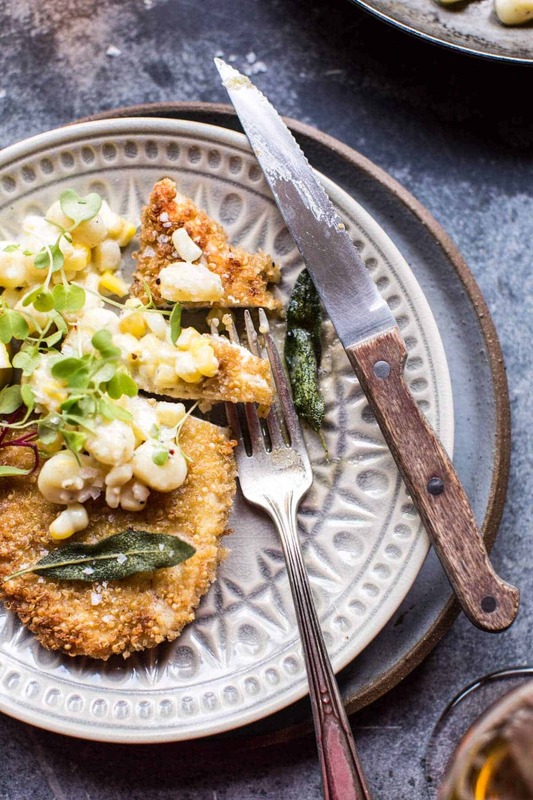 Quinoa Crusted Schnitzel with Creamed Corn Gnocchi. Hey there, so I made us Quinoa Crusted Schnitzel! To be honest, this is my first time ever making Schnitzel, but it surely won’t be the last. 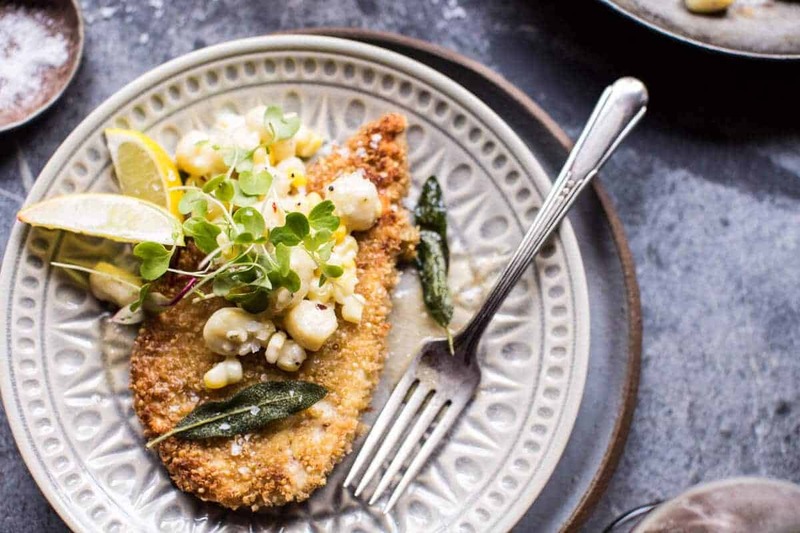 Alright, so here’s the story with this Quinoa Crusted Schnitzel. I know, here come the stories…sorry, but most recipes don’t just happen on their own you know? 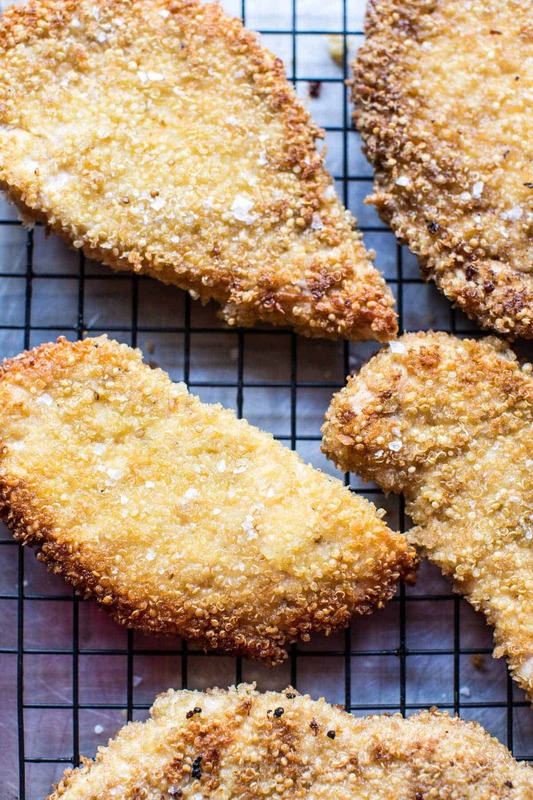 OK, the other week, I was brainstorming ideas for recipes and the idea of Schnitzel flew across my pinterest feed. Well, I guess it didn’t fly, but there it was, Schnitzel. Hmm, I had never even had Schnitzel, but something about a breaded cutlet (I decided to use chicken, but veal and pork traditional) just seemed like it might fit the bill for a good September dinner. Of course, I never trust myself or my ideas, so I had to turn to family members to get their thoughts and opinions. I do this A LOT, and my family might totally be annoyed, but their help is greatly appreciated. I have a hard time choosing just what recipes are worthy of making, and an even harder time deciding what to show you guys. I have a running list of ideas, but honestly you guys probably only see a fraction of “the list’. I am VERY picky about what I show you. Anyway, I sent the exact title of this recipe off to brothers, girlfriends and friends… so basically as many people as I could think of. Sometimes not everyone responds, so I figure I’ll just try them all and see who gets back to me first. Usually works out pretty well! I asked them all what they thought about a quinoa crust Schnitzel. Some were confused because I mean, who crusts their Schnitzel with quinoa? Well me, because I had a bowl full of plain cooked quinoa in the fridge and it was just screaming at me to use as a breading for my Schnitzel. 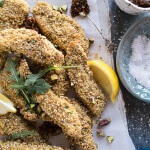 I’ve already made quinoa chicken fingers, so I figured it would probably work the same with Schnitzel as well…it did, but better, cause the Schnitzel gets pan fried…YUM. I explained the recipe with detail to Brendan and Lyndsie and both were pretty adamant that the recipe was a GO. As long as I served it with a mug of German beer. Ahh, I mean OK. I didn’t have any cool German mugs, but I did have the beer, and you guys, the recipe is a real winner! 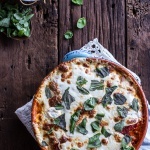 If you like chicken parmesan, just think of this as its German cousin, and even though the quinoa may sound strange, it actually makes a delicious crust. The quinoa get crisped in a mix of olive oil and butter and it is PERFECTION. Honestly, just so good. This is a semi-indulgent meal, but then not really, because hello, quinoa, lean chicken, corn and those microgreens on top! All health food in my book! Don’t you just love the way I think? Balance people, it’s all about balance! And yes, I made my Schnitzel using chicken, but pork chops can easily be swapped in. Actually, Brendan and Lyndsie said that I must use pork, but I had chicken on hand, so um, obviously chicken was the route I was going! Sorry…but I mean, hey, it is delicious either way! Double OH! Seeing as I am slowly moving my eats more towards fall, I swapped out parsley for a little fried sage. It’s my favorite! Place the quinoa and bread crumbs in a shallow bowl. Add the flour to another shallow bowl and the eggs to another. Season the chicken with salt + pepper. Working with one piece of chicken at a time, dredge the chicken through the flour and then shake off any excess. Dip the chicken through the egg and then dredge through the quinoa, allowing any excess to fall back into the bowl. Place on a plate and repeat with the remaining chicken. Heat a large skillet over medium high heat. Add 1 tablespoon of the butter and 1 tablespoon of the olive oil. Add 2 pieces of chicken and cook 3-4 minutes per side or until the quinoa is lightly golden brown. Remove from the pan and place on a baking sheet, sprinkle lightly with salt + pepper. Repeat with the remaining 2 pieces of chicken. Once all the chicken has been cooked, fry the sage in the pan for about 30 seconds or until crisp. Place the chicken in the oven to stay warm while you make the gnocchi. Bring a large pot of salted water to a boil, boil the gnocchi according to package directions. Meanwhile, heat a large skillet over medium heat and add the butter. Add the corn and garlic, cook 5 minutes or until the garlic is fragrant and the corn is golden. Add the gnocchi to the pan and toss to combine. Slowly pour in the cream and cook until it thickens, about 5 minutes. Stir in the cheese and basil. Remove from the heat and season with salt + pepper and crushed red pepper flakes. *Inspired by Donna Hay Magazine October 2015 issue. 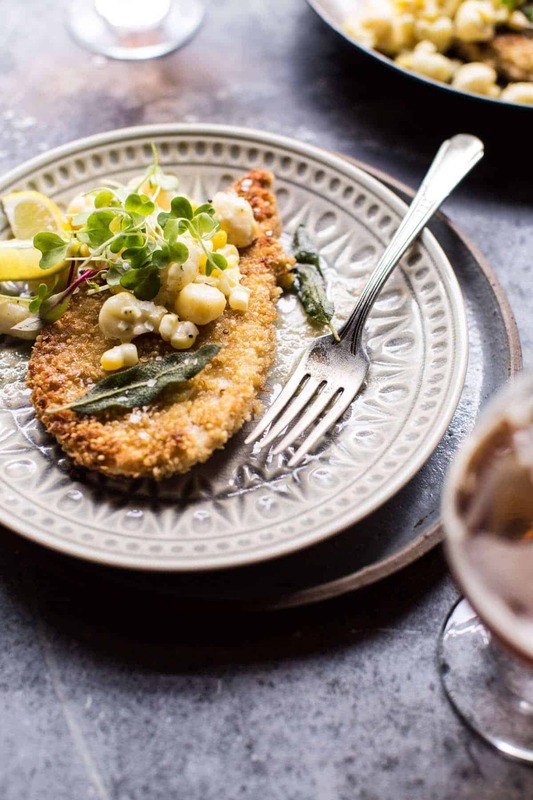 Hip hip hooray for it already being Wednesday…with a killer Quinoa Crusted Schnitzel on the menu! ? Sounds crazy amazing, I’m just checking if I have all the ingredients to make this dinner today. That is so awesome and good to know! Thanks Krissy! Love your photos as always and the dish looks very tasty! Thank you so much! And so happy you like my stories haha! This sounds amazing! I’m a not a big fan of Pork so chicken works just fine. Also, I think you left out the basil in the list of ingredients from the gnocchi. I hope the baby goats are all fine. Can’t wait to see more pictures! Thanks for noticing Richa! They are all good, I cannot wait to share pictures!! Thank you! This looks awesome! 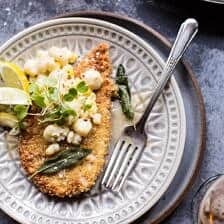 I love schnitzel and especially love the idea of using quinoa, definitely makes it so much healthier ? The gnocchi looks delicious too! Omg, that gnocchi! It looks insane! 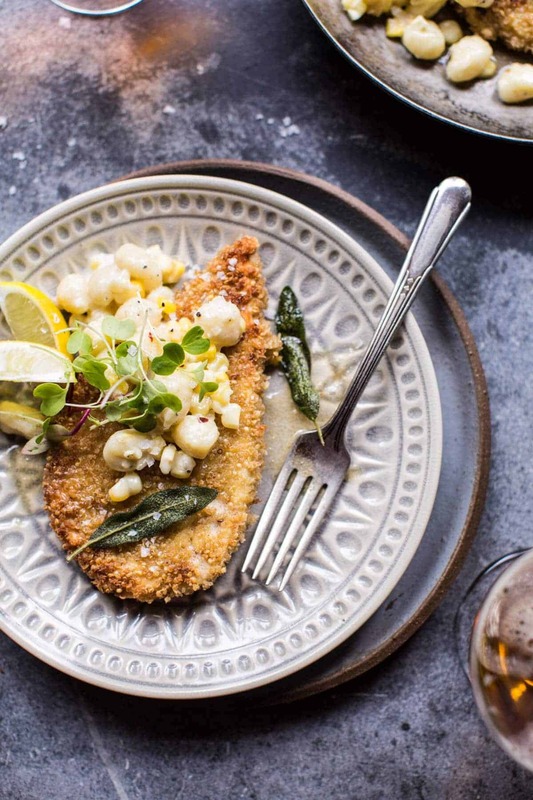 I wouldn’t turn down a big bowl of that on its own, but the schnitzel looks incredible too. Beautiful dish. What an interesting combination! 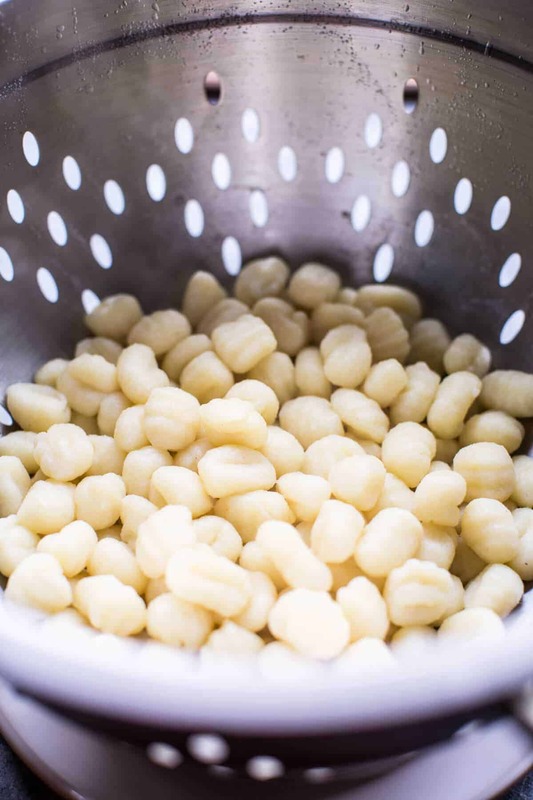 Have you ever tried hand making gnocchi? wow i haven’t made schnitzel in forever! 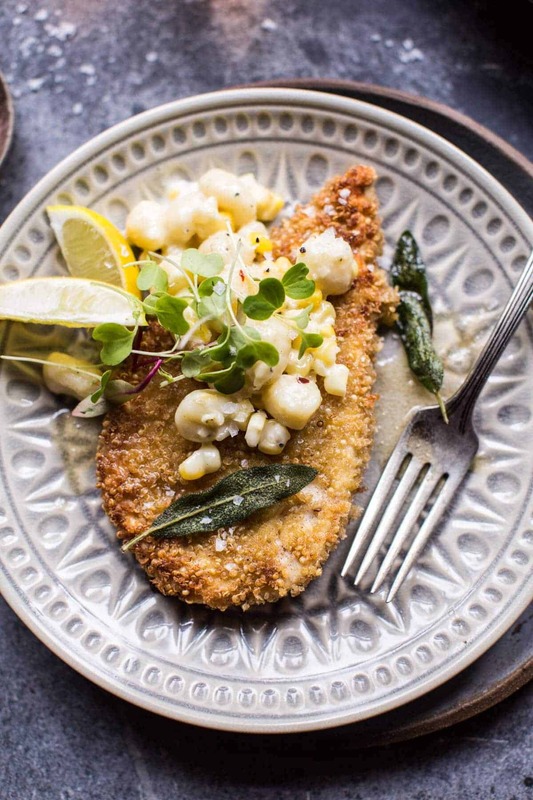 Schnitzel is so incredibly delicious and I can only imagine it being paired with that gnocchi! this looks magical! 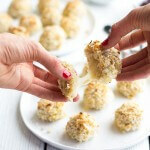 Love the idea of encrusting in quinoa – may try to re-create gluten free! Thanks for sharing. YAY!! Thanks so much Rebecca, happy you’re loving this post! This is my first time hearing of schnitzel too! But it looks like you’ve made them so successfully! 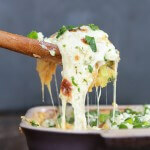 I will run of to the pantry to see what ingredients that I need to get to try this, it looks so interesting. I hope you love it Charlie! Thanks so much!? Yes only you can think of stuffs like that, Tieghan but it always works and look and taste sooooo good!!! I would have never thought about quinoa as crust, but hey, sometimes great ideas simply come from just digging our pantry and fridge for what we got! ? I could not agree more! And thank you so much Sheila, always kind words from you that practically make my day!! So happy you are loving this recipe, thanks! ? Oh and btw, I got some of those German mugs to go with your schnitzel! Lol! ? Oh my gosh this is so awesome!! Enjoy!